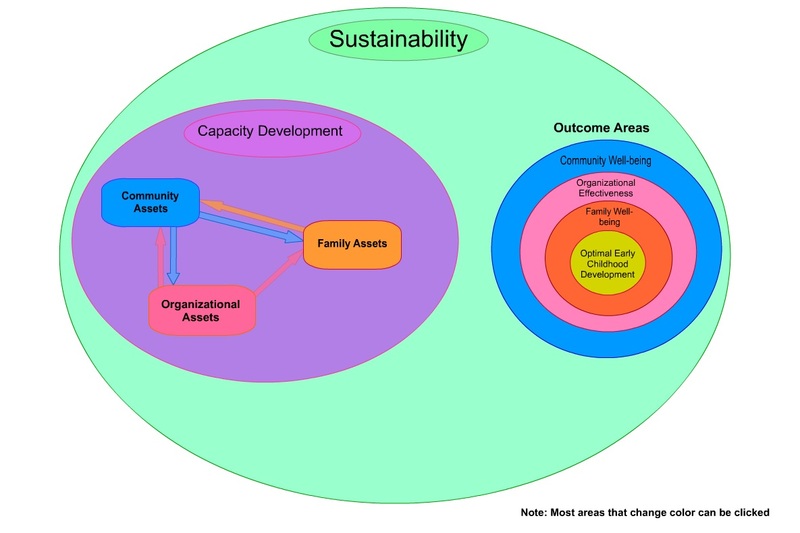 Logic models depict the theory of change for a program. 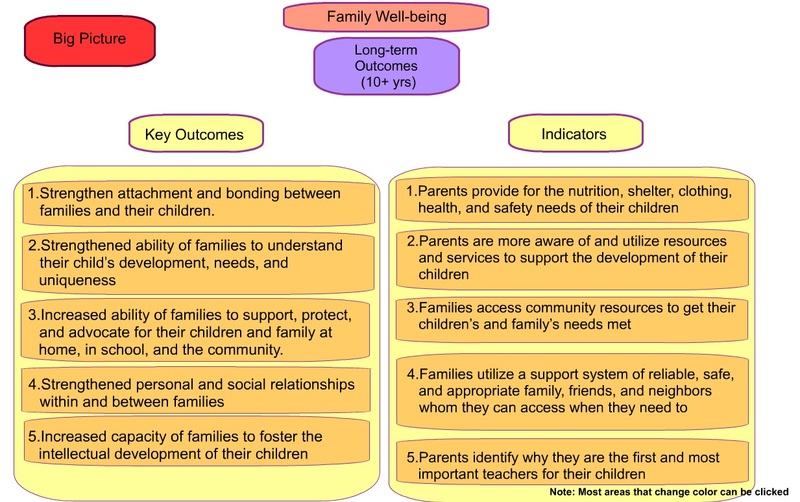 This interactive logic model depicts an initiative that may be compatible with the Child & Youth Health Network in some respects. 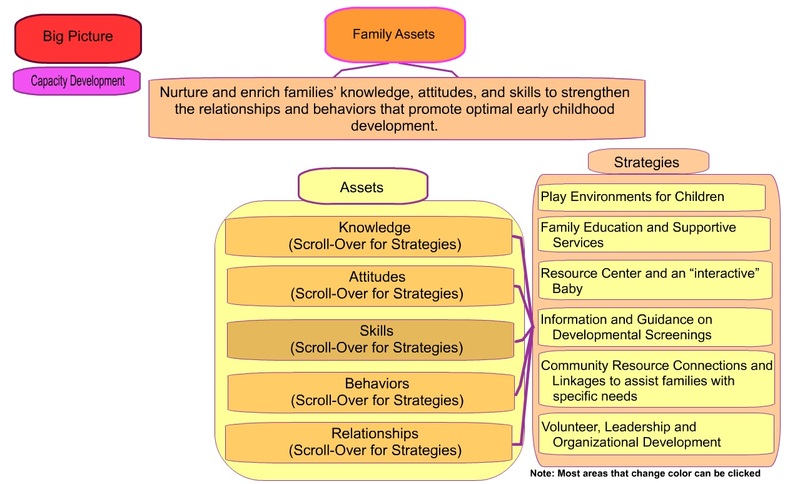 It focuses on early childhood, an excellent & high leverage intervention point. 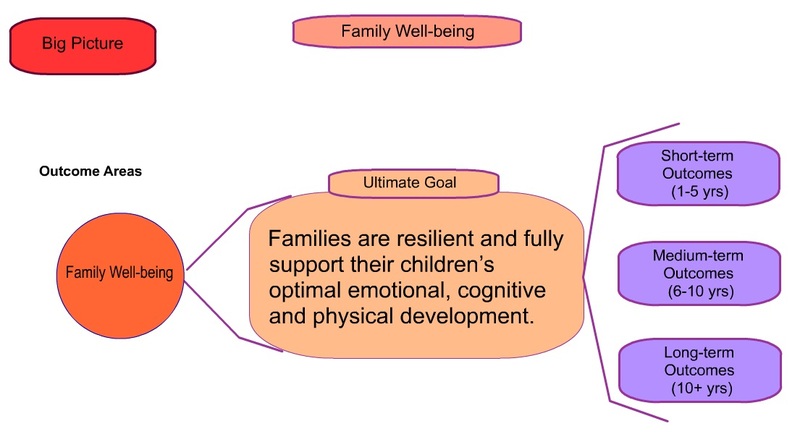 We might include a prenatal, middle childhood, youth & early adulthood area. Find the interactive version here (It’s interactive! Hover your mouse over almost any field to drill down & find more detail).